India vs Australia 4th Test Sydney: Former Australian selector Mark Waugh tried to defend selectors as he took to Twitter and said that 'it is easy to blame selectors' after the dismal performance of Australia in the ongoing four-match Test series. 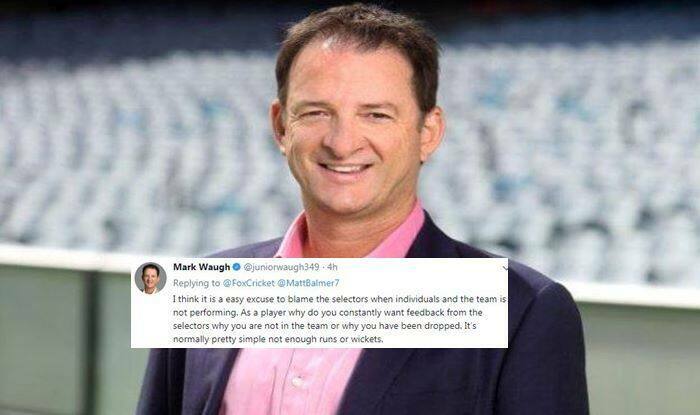 The former selector made this comment as he took a shot back at Greg Dyer’s suggestion selectors aren’t communicating effectively to players about national selection. Here is how his comments did not go down well with his fans and he faced some heat on social media. Meanwhile, Kuldeep Yadav has picked up a five-wicket haul as he helped India bundle out the Australians for 300 runs which meant India took a dominating 322-run lead. At tea on Day 4, India has enforced the follow-on and the hosts are 6/0 in their second innings.